Finding a good pair of headphones that can stand up to an active child isn’t easy. Accessory manufacturer Marblue’s latest offering, HeadFoams, promises to be exactly that – a nearly indestructible set of headphones for kids, made from a single piece of bendable, non-toxic EVA foam. HeadFoams’ unique soft body design allows the pair of headphones to be bendable and shatterproof, and eliminates the presence of breakable plastic and metal parts. Sound output is limited to just 85 decibels to protect young, developing ears from damage. Each pair comes with a matching extension pad to snugly fit children as young as 3 years of age. HeadFoams are not recommended for children under 3, as the cord can still present a choking hazard. HeadFoams retail for $39.99 and come in your choice of three bright colors: blue, purple and orange. 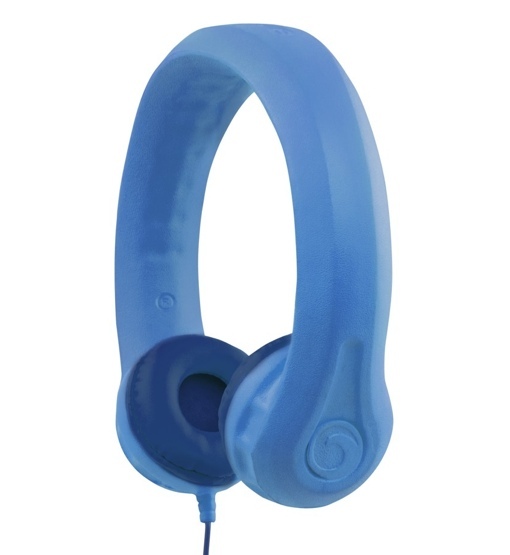 To learn more about these kid-friendly headphones (or to place your order), visit gomarblue.com. For even more options, check out Techlicious’ picks for the best kids headphones.